Monet settled in Giverny in 1883. He untiringly transformed an abandoned domaine into a floral masterpiece, to be the inspiration for many of his greatest works of art. Monet was not only a painter of his own garden but also an artist whose painting trips took him away for lengthy periods of time. However, he was never really far from his garden . Through constant correspondence, he kept a close eye on his family and his flowers . Frequent visits from his friends and admirers made Giverny the centre of his existence . 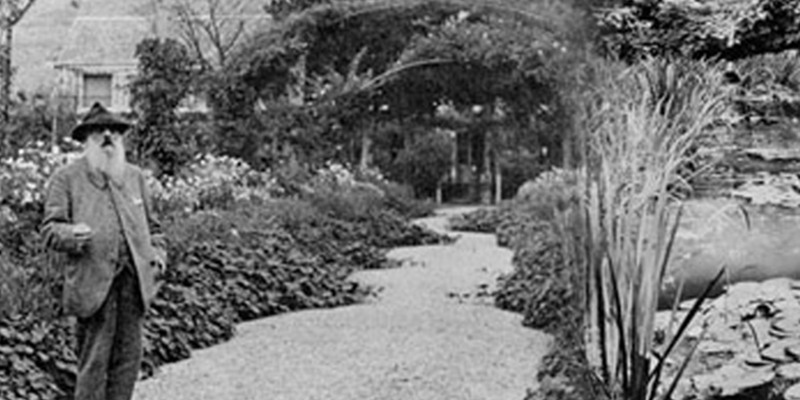 Until his death in 1926, the painter, the father , the gardener and the man would never really leave Giverny .